Kourtney Kardashian and Scott Disick shared pics of their family ski trip on Insta, and seems like things are still going strong! Okay, it’s no secret that we’re pretty invested in the happenings of the Kardashian-Jenner clan. We’ve spent so much time watching them over the years that we can’t help but be interested in what’s up with them on the reg. So we were pretty happy to discover that the newly-reconciled Kourtney and Scott took a ski trip to Aspen with the kids this week, and things look like they’re going strong. Anyone who follows these guys as much as we do will know that the parents of Mason, Reign, and Penelope had split up for a year and a half, but recently tried to make things work after a romantic couple’s trip to Mexico. 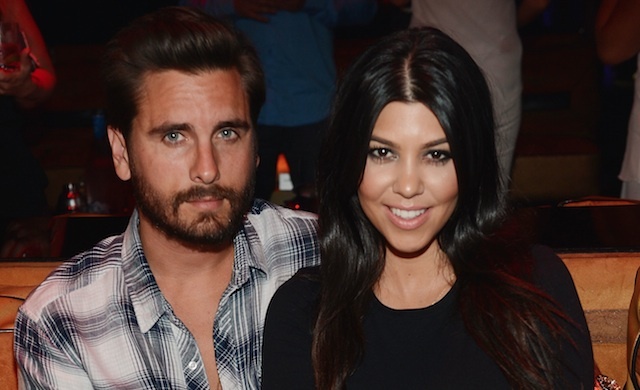 Scott reportedly spent Thanksgiving with Kourtney and the kids, and has also officially moved back into the house. And based on some recent Insta pics, it seems like they’re having a pretty good time on the slopes. The couple is officially totally stylin’ in their ski gear. Oh, and we’re loving this picture of Scott with his mini-me, Mason. Scott has been very open about his struggles with alcohol and substance abuse, and entered rehab last year to help overcome it. He’s been super open about his journey, and seems to be in SUCH a better place than he was at the time of their initial split. And while we know that there are obviously much more important things happening in the world right now than the status of a reality TV couple, we’d be lying if we said this didn’t lift our spirits just a little today. Because, hey, would doesn’t love a happy ending? We’re wishing the fam a very Happy New Year, and hope things keep going well for the duo!